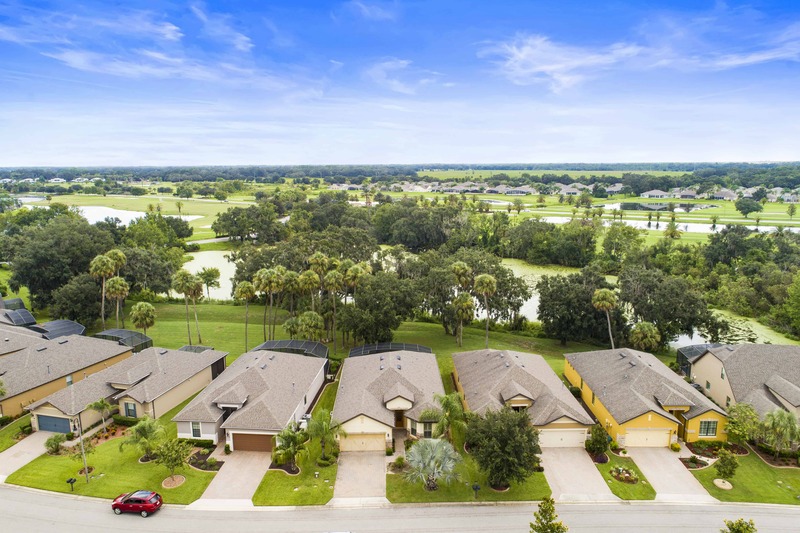 Popular Vernon Hill floor plan with an amazing water view in the 55+ gated community of Del Webb Orlando. 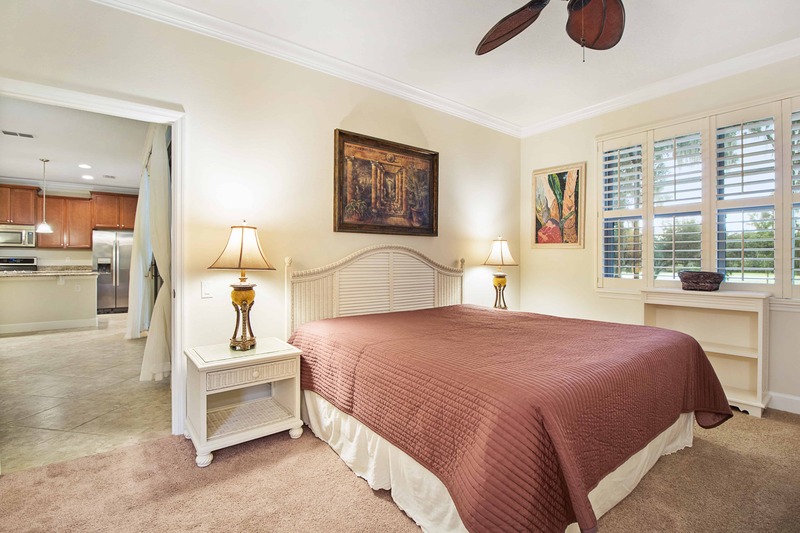 This home was photographed Linda Spence of Keller Williams Realty in Celebration FL. 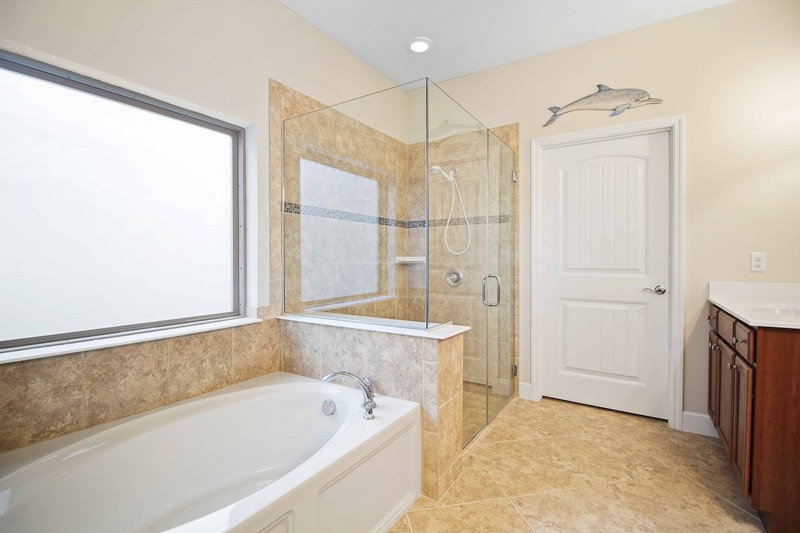 This 3 bedroom/2 bathroom home features an open floor plan. 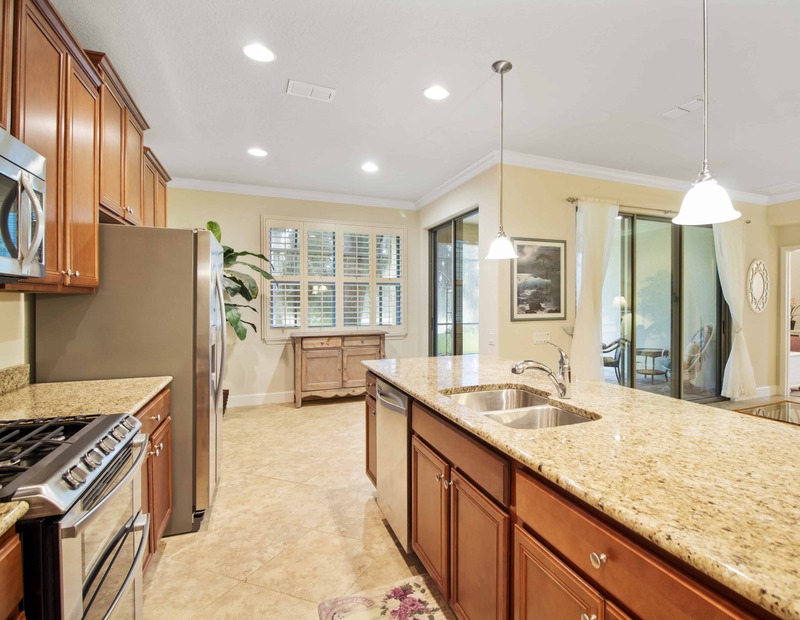 The kitchen features stainless steel appliances, wood cabinets, gas range and a beautiful granite island perfect for entertaining. The gathering room open up to a covered lanai with an extended screened and paved pet-friendly entertaining area overlooking the water. 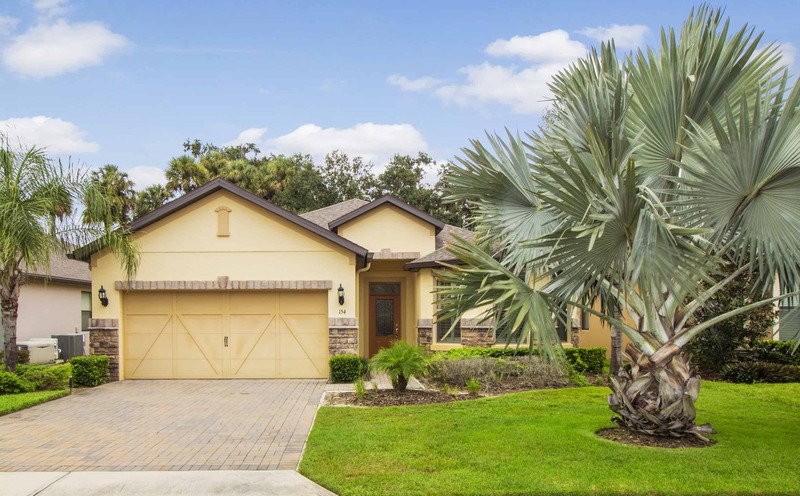 Del Webb Orlando features the 30,000 Montecito clubhouse, which has a lounge, indoor walking track, indoor and outdoor pools and spas and fitness center. Outdoor activities include tennis, bocce, basketball and pickleball. 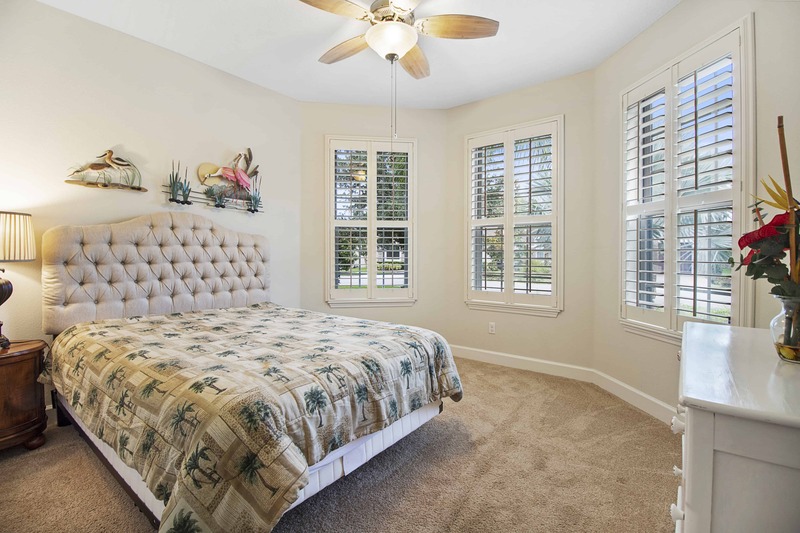 A one-time capital contribution of $750.00 at closing to HOA paid by buyers. The house is being sold furnished, and seller is offering a $2500 flooring credit.